MUSIC BOX, AMERICA’S FINEST MUSIC VENUE. Music Box is the premier concert venue and event space in downtown San Diego. Situated in Little Italy, our venue features a diverse array of talented performers, including nationally celebrated artists, local legends, and up-n-coming acts. Our tri-level site boasts audiophile-quality acoustics, locally sourced menus, and generously spacious floor plans. 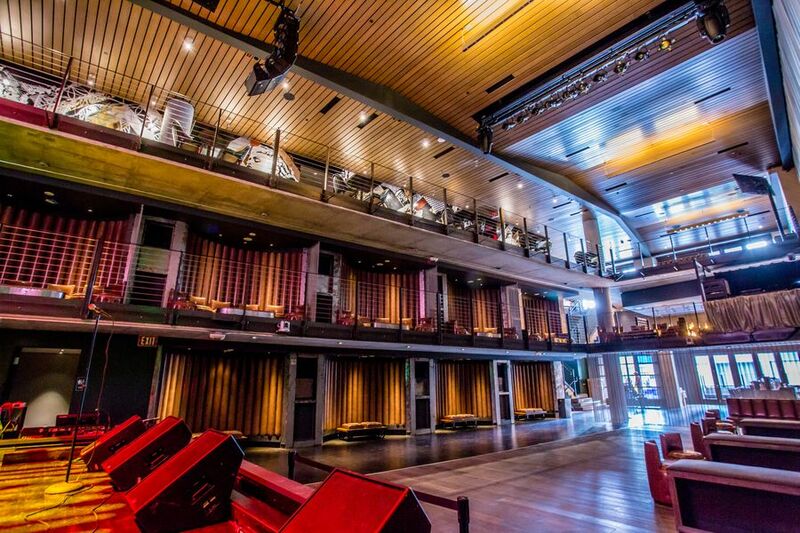 Founded in the tradition of legendary venues such as the Fillmore in San Francisco, and the Palladium, El Rey, and Wiltern in Los Angeles, we are truly unique among San Diego nightlife destinations. Seeing a show at Music Box is a concert-goer’s ideal scenario. With capacity of over 700 patrons, our event space is large enough for the full concert experience, yet cozy enough to feel like you’re at an intimate show with your favorite band. We offer relaxing lounge areas, booth seating, outdoor patios, and views of the stage throughout the venue. And our VIP experience is unparalleled, with options such as plush opera seating and an elite private-access room. One visit, and you’ll see that we cater to the discerning music aficionado, including fans of Coachella and those who have recently attended a concert promoted by Live Nation or Goldenvoice. With gourmet dining and signature libations onsite, guests can unwind and enjoy the immersive atmosphere. We have menu options available during all open hours, and can also provide pre-show catering, as well as private dining environments. Our small plates, seasonal favorites, and crafts on draft are the perfect accompaniment to the music, and make for a lively and sociable dining experience. As the most exciting San Diego nightlife destination, we feature live music and entertainment throughout the week. You will find a current schedule of events throughout our website. We also make our venue available for private events, corporate functions, weddings, fundraisers, holiday parties, and much more. If you are looking for a unique and unforgettable location to rock your next event, you have come to the right place. We are proud to make our mark on San Diego’s thriving music scene, alongside venues such the Casbah, Observatory, and House of Blues. We are also honored to be San Diego’s home for exclusive concerts, invite-only functions, and the best in private events. Be sure to check our schedule often for a list of upcoming calendar dates, as well as to check event space rental availability. We look forward to seeing you at Music Box San Diego!